William Robert Bougie married June Marie Nestaval, daughter of Edward John Nestaval and Agnes Martha Szermeta. SOURCE: Jamie L. Nestaval letter 24Feb1992. SOURCE: Jamie L. Nestaval letter 07Jun1992. SOURCE: Pamela Nestaval letter on 08Nov1997. Jack Womack Eddy married Gloria Ann Nestaval, daughter of Edward John Nestaval and Agnes Martha Szermeta, on 23 November 1950. Frank Thomas Nicosia was born on 13 November 1925. He married Muriel Pauline Nestaval, daughter of Edward John Nestaval and Agnes Martha Szermeta, on 30 October 1959 at Ramsey Co., Minnesota. Frank Thomas Nicosia died on 27 August 1980 at Ramsey Co., Minnesota, at age 54. The cause of death was heart aneurysm. SOURCE: Jamie L. Nestaval letter 07Jun1992. SOURCE: Jamie L. Nestaval letter 24Feb1992. Jamie Lynn Nestaval is the daughter of male (?) and Judith Ann Nestaval. Jamie Lynn Nestaval and Jeffery Lynn Blanks were unmarried partners.1 Jamie Lynn Nestaval married Charles Curtis Thompson Jr. on 11 October 2002 at Ramsey Co., Minnesota.1,2 Jamie Lynn Nestaval and Charles Curtis Thompson Jr. were divorced in July 2008.1 Jamie Lynn Nestaval married James Owens Jr. on 31 October 2012. Her married name was Nestaval. She lived in 1946 at 5017 York Ave., South, Minneapolis, Hennepin Co., Minnesota. The following obituary from The Faribault Daily News newspaper, 21 May 1946 and 01 Jun 1946. Mr. and Mrs. Thomas C. Skluzacek attended the funeral of the later's mother, Mrs. Anna Nestaval, on Monday, May 20, in Minneapolis. Mrs. Anna Nestaval, 80, a pioneer of Montgomery and a resident of Minneapolis for the last 23 years passed away on Friday, May 17, at her home at 5017 York Ave. S., Minneapolis. She is survived by one son, Edward J., of Van Hook, N.D., six daughters, Mrs. Frank Kaisersatt, Mrs. Thomas C. Skluzacek of Lonsdale, Mrs. Franklin Kerr of Massillon, Ohio, Mrs. J.H. Evans of Glen Ellyn, Ill., Mrs. Beatrice Darnell and Mrs. Samuel Gale, both of Minneapolis; three sisters, Mrs. Anton Podhora of St. Louis Park, Mrs. Ed A. Holt and Mrs. Ed. 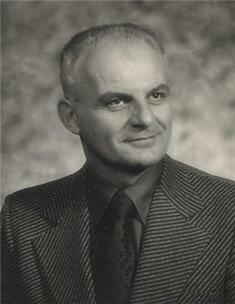 A. Perlich, both of Minneapolis; two brothers, Joseph Factor of Portland, Oregon and John Factor of Marshalltown, Iowa; 13 grandchildren and two great-grandchildren. Attending the funeral from Faribault, were Mr. and Mrs. Fran Kaisersatt and Harriett Kaisersatt. Anna Factor Nestaval was born in Chicago, Ill. on May 10, 1866. At an early age she came to Minnesota with her parents and made her home on a homestead in Montgomery township. At 16, she was married to Joseph Nestaval of Montgomery and they continued making their home on the farm east of town until the spring of 1900 when they moved to Seaforth, Minn., where they engaged in business. After purchasing a home in Minneapolis they retired to that city where Mr. Nestaval died in 1929. She was preceded in death by her husband, Joseph Nestaval, a daughter, Anna, mother of Harriett Kaisersatt, and another daughter, Marie. She was well known in this community for she made her home in Lonsdale for more than a year after her husband's death. Always an ardent believer in education for her children, no job was too hard and no sacrifice too great for their sake for her to undertake. Thus leaving them the priceless heritage of a long happy, useful life lived in the true Christian tradition. The Rosary was said Sunday evening at the Gill Bros. chapel, where many former Montgomery friends came to pay their last respects. Requiem Mass was at the Church of Christ the Kink on Monday at 9:00 a.m. Internment was made in Sunset Memorial Cemetery. Census 8 January 1920 Montgomery, Le Sueur Co., Minnesota, E.D. 76, sheet 2. Census 6 June 1900 Montgomery Twsp., Le Sueur Co., Minnesota, lists born May 1865 in Illinois, 35 at last birthday, married 17 years, had 9 children, 8 children still living. [S996] Anna Factor entry, SOURCE: Mpls MN Death Index Card (FHL 1498983, Vol 321, pg 2178), unknown repository, unknown repository address. [S995] Unknown article title, OBITUARY: Faribault (MN) Daily News, 01Jun1946, Faribault, Minnesota, 01 Jun 1946. Hereinafter cited as FDN. [S994] Unknown article title, OBITUARY: Faribault (MN) Daily News, 21May1946, Faribault, Minnesota, 21 May 1946. Hereinafter cited as FDN. Esther Alvina Halvorson was a Homemaker. As of 16 April 1940, Esther Alvina Halvorson lived at Watford City, McKenzie Co., North Dakota. Her married name was Nestaval. As of 2 October 1970,her married name was Torske. Esther Alvina Halvorson was a Lutheran. Esther Alvina Halvorson moved to North Dakota with her parents in 1914 when she was three years old. She had one brother, Lloyd, and four sisters, Thelma, Violet, Hildred, and Nerissa. She along with her brother and sisters, attended Van Hook Public School. Esther met John Torkse in 1930 and also met Edward Nestaval. John Torkse moved to South Dakota. Esther married Edward John Nestaval on September 25, 1932. Ed and Esther lived for a short time in Stanley, Williston, and Watford City, but they lived on a farm near Van Hook the majority of their married years. The farm was sold and is now under water due to the Garrison Dam Project. They moved to New Town, a city that was formed because of the flooding. Esther was a homemaker and also managed a cafe for a time. She also was employed at a women's dress shop in New Town for a few years. Ed and Esther were married for 32 years until Ed's death on September 5, 1964. In the fall of 1967, Esther and John Torske met each other again. After renewing their acquaintance, they were married in Parshall, North Dakota, on October 2, 1970. They lived in Esther's house in New Town. They sold their home in 1988 and moved into the Golden Manor Apartments in New Town. Esther's brother, Lloyd, passed away in the fall of 1990. Lloyd had left his house to Esther. John and Esther moved into their new home in the Winter of 1990. Esther had blonde/reddish hair and blue eyes. She lived in 1992 at New Town, Mountrail Co., North Dakota. Her Social Security Number was 501-32-0498, SSDI lists born 25 Oct 1910 and died 11 Jun 2005, social security number was issued in North Dakota, last residence was New Town, Mountrail Co., North Dakota. [S2261] Find a Grave Inc., Find a Grave, database and images (: accessed Mar 2014), Esther A. Nestaval (1910-2005) gravestone photograph, memorial no. 17316640, New Town Cemetery, New Town, Mountrail Co., North Dakota, photograph © Steve and Nancy Stout, 2014. Hal Joseph Nestaval was a Lutheran. Hal Joseph was born at the farm near Van Hook, North Dakota, where his parents were living at the time. Hal attended school in Watford City, ND and Van Hook, ND. He graduated from Van Hook High School in 1951. Hal joined the Navy in 1951. He was stationed in Chicago, IL, Jacksonville, FL, and Memphis, TN. He was assigned to an anti-submarine squadron at Whidbey Island, WA in 1952. From there he went to Hawaii, Guam, Okinowa, and the Philippines. While in Okinawa he flew combat missions over Korea. While in the Philippines, he was on the first flight crew to fly aircover over Vietnam. After returning from the Navy, Hal attended North Dakota State University in Fargo, North Dakota. It was while attending classes that Hal met Ardis Lois Jensen, from Berthold, North Dakota. They were married on December 26, 1958 in Fargo, ND. Ardis' parents were Signus and Hulda Jensen. Her father passed away in December of 1987. Hulda is a resident of St. Francis Home in Breckenridge, Minnesota, and has been there since 1985. Hal and Ardis' first child was born in Fargo on September 29, 1960 and they named her Kirsten Ann. Following Hal's graduation from NDSU in 1960, they moved to Chicago, IL. He was employed by Kemper Insurance. Their son, Kirk Edward, was born in Evanston, IL at the Evanston Hospital, December 30, 1961. Lisa Jo delighted her brother and sister on July 5, 1965 with her arrival. She was born at Lutheran General Hospital in Park Ridge, IL. The family was transferred to Indianapolis, Indiana in 1965, and they continued to live there until 1969. Then they were transferred to Nashville, Tennessee. It was during this time it was discovered their daughter, Kirsten, had leukemia. She passed away on March 9, 1970. Services were held in New Town, North Dakota and she was laid to rest near her grandfather, Edward Nestaval, who had passed away in September of 1964. In 1971 another job transfer moved the family; this time to St. Louis, Missouri. It was in the cards for them to go back to a suburb of Chicago. Kemper Insurance moved the family to Bolingbrook IL in 1974 and they remained there until 1985. Their son, Kirk, had married and stayed in Illinois Lisa, their daughter, graduated from Western Illinois University in 1987. She joined the Army and as of 1990, she is a First Lieutenant stationed in Germany. In October of 1985, Hal and Ardis made their move as a couple with an Empty Nest to Diamond Bar, California, a suburb of Los Angeles. It was at this point in their lives they invested in a condominium. Hal J. Nestaval LUBBOCK - Hal Nestaval of Lubbock passed away Monday, March 5, 2012 at the age of 78. He was born April 9, 1933 in Van Hook, North Dakota to Edward and Esther (Halvorson) Nestaval. Hal joined the U.S. Navy and served during the Korean Conflict. Upon honorable discharge, he obtained his Bachelor's Degree from North Dakota State University and was an insurance executive for Kemper Insurance Company until retiring. Hal married Nancy Farmer on October 11, 2003. Those left to cherish his memory are his wife, Nancy; son, Kirk Nestaval and wife April of Minooka, IL; daughter, Lisa Lamb and husband Jim of Las Cruces, NM; two brothers, Jerry and wife Sandra of Kelso, WA and Kirk and wife Gwen of Grand Forks, ND; two sisters, Darlene Hval and husband John of Williston, ND and Sara Nestaval of Las Vegas, NV; three grandchildren, Kyle, Kirsten and Tyler Nestaval; and many nieces and nephews. Hal was preceded in death by his parents; the mother of his children, Ardis Jensen Nestaval; and one daughter, Kirsten Nestaval. A memorial service will be held at a later date in North Dakota. Please celebrate the life of Hal by visiting www.combestfamilyfuneralhomes.com. 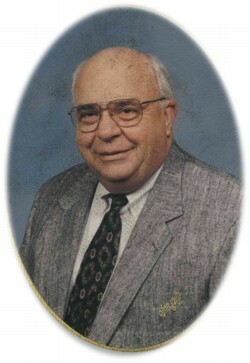 Hal Nestaval, 78, Lubbock, Texas, formerly of Van Hook, died Monday, March 5, 2012, in Texas. He was born April 9, 1933, to Edward and Esther Nestaval, at Van Hook. He served in the Army during the Korean Conflict. He married Nancy Farmer on Oct. 11, 2003. Survivors: wife; son, Kirk, Minooka, Ill; daughter, Lisa Lamb, Las Cruces, N.M; three grandchildren; brothers, Jerry, Kelso, Wash., and Kirk, Grand Forks; sisters, Darlene Hval, Williston, and Sara Nestaval, Las Vegas. A memorial service will be held in North Dakota at a later date. [S997] Letter from Hal Joseph Nestaval (24131 A Highknob Rd., Diamond Bar, CA 91765) to Steven Harn Redman, 31 Mar 1992; Steven Harn Redman (2633 N. 1600 E., Layton, Davis Co., UT). [S2273] Find a Grave Inc., Find a Grave, database and images (: accessed Mar 2014), Hal Nestaval (1933-2012) gravestone photograph, memorial no. 86371376, New Town Cemetery, New Town, Mountrail Co., North Dakota, photograph © Steve and Nancy Stout, 2014. Sara Ann Nestaval is the daughter of Edward John Nestaval and Esther Alvina Halvorson. Martin Factor married Anna Slipka. SOURCE: Kirk Z. Nestaval letter 24Feb1992. Anna Slipka married Martin Factor. Her married name was Factor. SOURCE: Kirk Z. Nestaval letter 24Feb1992. Obituary of Anna FACTOR NESTAVAL (1946) listed siblings. Matej Nestaval married Anny Vraderab. SOURCE: Kirk Z. Nestaval letter 24Feb1992. Matej is Czech for Matthew. in 1777, on December 1, a child named Matej (Mathias) was christened. Parents: Matej Nestaval, housekeeper, son of Jakub Nestaval, farmer from Mazice, wife Katerina, daughter of Jan Smolik, farm laborer from Zalsi, subjects of the Zalsi nobles. Others: Martin Zacek, farm laborer from Mazice, and Katerina, wife of Jiri Vana, farm laborer from Zalsi. Register of births of the Roman-Catholic parsonage in Zalsi, Volume 4, Years 1764 - 1786, Page 133. The record of birth of Marie Anna Kaderabkova was not found between years 1770 and 1785 in the register of births of the parsonage in Zalsi. Name: Anna, daughter of Antonin Kaderavek from Horny, and Vorsila Zelenska, also from Horny No. 20. Register of births, marriages and deaths of the Roman-Catholic parsonage in Zalsi, Volume 9, Years 1787 - 1799, Page 3. Register of deaths of the Roman-Catholic parsonage in Zalsi, Volume 18, Years 1823 - 1881, Page 47. Same register of deaths, Page 54. Anny Vraderab married Matej Nestaval. Her married name was Nestaval. SOURCE: Kirk Z. Nestaval letter 24Feb1992. Jacub Mencik married Rosiny Shima. Rosiny Shima married Jacub Mencik. Her married name was Mencik. SOURCE: Kirk Z. Nestaval letter 24Feb1992. Ardis Lois Jensen was born on 10 September 1928 at Portal, Burke Co., North Dakota.4 She was the daughter of Signus Jensen and Hulda Winther. Ardis Lois Jensen married Hal Joseph Nestaval, son of Edward John Nestaval and Esther Alvina Halvorson, on 26 December 1958 at Fargo, Cass Co., North Dakota.5 Ardis Lois Jensen died on 26 April 2002 at Albuquerque, Bernalillo Co., New Mexico, at age 73. She was buried at New Town Cemetery, New Town, Mountrail Co., North Dakota. Her married name was Nestaval. Ardis Lois Jensen was a Lutheran. She lived at 24131 A Highknob Road, Diamond Bar, Los Angeles Co., California. Her Social Security Number was 502-22-9928 issued in North Dakota., lists birth as 10 Sep 1928 and death as 26 Apr 2002, last residence of Alburquerque, New Mexico. Ardis Nestaval, 73, Albuquerque, N.M., formerly of Berthold, died April 26, 2002, in Albuquerque after a lengthy illness. Services will be held at 2 p.m. Thursday at Bethel Lutheran Church, New Town. Burial will be in New Town Cemetery. She is survived by her husband, Hal; one son, Kirk, Minooka, Ill; one daughter, Lisa Lamb, Leavenworth, Kan; two grandchildren; one brother, Harvey Jensen, Jamestown; and two sisters, Carol Holtz, Wheaton, Minn., and Leona Johnson. [S998] Letter from Hal Joseph Nestaval (24131 A Highknob Rd., Diamond Bar, CA 91765) to Steven Harn Redman, 16 Mar 1992; Steven Harn Redman (2633 N. 1600 E., Layton, Davis Co., UT). [S999] Letter from Hal Joseph Nestaval (24131 A Highknob Rd., Diamond Bar, CA 91765) to Steven Harn Redman, 31 Mar 1992; Steven Harn Redman (2633 N. 1600 E., Layton, Davis Co., UT). John was born in September of 1931 in Williston, ND. He was graduated from Williston High School and attended the University of North Dakota, Grand Forks. In January of 1951, John enlisted into the US Air Force, he was honorably discharged in October of 1954. In June of 1957, John was married to Darlene Joan Nestaval. They have been happily married for 55 years. Surviving John are his wife, Darlene; three children, Siri Peterson and her husband Wesley of Wolf Point, MT and their children, Dirk and Andi; Ed Hval and his wife Natalie of Hoover, AL, and their children, Zach and Ali; and Kecia Zullo and her husband Matt of Germany and their children, Andrew, Sarah, and Kiri; three great-grandchildren, Brendan, Aaden, and Royce; and one surviving sister, Essie Sprague. Preceding John in death were his parents, Roy Hval and Esther Hval; and his brother, James Hval. [S2148] John Arlen Hval obituary, online http://eversonfh.com/ObituaryDisplay.aspx?ID=657, Everson Funeral Home. Hereinafter cited as John Arlen Hval obituary. While visiting his parents in Shelby, Ohio, Franklin met Rose Nestaval, whose parents were from Czechoslovakia and were living in Faribault, Minnesota. On 15 January 1927, Rose Nestaval and Franklin Kerr were married in Cleveland, Ohio. Rose (Nestaval) Kerr died in 1961 and, on 4 November 1964 Franklin married her sister, Stella (Nestaval).2 SOURCE: Kirk Z. Nestaval letter 24Feb1992. Samuel Chester Gale was born on 20 July 1895 at Minneapolis, Hennepin Co., Minnesota.1 He was born circa 1896 at Minnesota. He married Stella Nestaval, daughter of Joseph Nestaval and Anna Factor, on 3 June 1926.2 Samuel Chester Gale died on 7 February 1961 at Hennepin Co., Minnesota, at age 65; Certificate Number: 021856.3 He was buried at Sunset Memorial Park Cemetery, Minneapolis, Hennepin Co., Minnesota; Plot: Block 1, Find A Grave Memorial# 100607754. Roll: 1675521; Draft Board: 2. Source Citation: Year: 1929; Arrival; Microfilm Serial: T715; Microfilm Roll: 4552; Line: 27; Page Number: 154. Ancestry.com. New York, Passenger Lists, 1820-1957 database on-line. Provo, UT, USA: Ancestry.com Operations, Inc., 2010.. Hereinafter cited as New York, Passenger Lists, 1820-1957. James Harrison Evans was born on 16 January 1900 at Minnesota.1 He married Genevieve Cornelia Nestaval, daughter of Joseph Nestaval and Anna Factor, on 20 November 1926 at Hennepin Co., Minnesota.2 James Harrison Evans died on 6 March 1959 at age 59. James Harrison Evans listed in the World War I Draft Registration Cards for Wabasha Co., Minnesota. It lists him born 16 Jan 1900, with occupation as a surveyor, with blue eyes and brown hair.3 SOURCE: Kirk Z. Nestaval letter 24Feb1992. SOURCE: Hal J. Nestaval letter 16Mar1992, listed children. SOURCE: Jerry E. Nestaval letter 26Mar1992. Census April 1930 Milwaukee, Milwaukee Co., Wisconsin, listed as 30 years old, born in Minnesota. [S1717] World War I Draft Registration Cards 1917-1918, online www.ancestry.com. Hereinafter cited as World War I Draft Registration Cards 1917-1918. The cause of death was Leukemia. [S2274] Find a Grave Inc., Find a Grave, database and images (: accessed Mar 2014), Kirsten Nestaval (1960-1970) gravestone photograph, memorial no. 17316638, New Town Cemetery, New Town, Mountrail Co., North Dakota, photograph © Steve and Nancy Stout, 2014. Lisa Jo was born on July 5, 1965 in Park Ridge, Illinois. Lisa attended grade school at Manchester, Missouri. She graduated from high school in Bolingbrook, Illinois, in 1983. Lisa attended Western Illinois University in 1983, and graduated in 1987, with a major in business and finance. Lieutenant Colonel (Ret) Lisa Jo Lamb passed away peacefully on Monday, November 2, 2015 surrounded by her family and friends. Lisa had a passion for life and filled the room when she entered! She never met a stranger and if you wanted to talk football, she was your go to person…DA BEARS! Born July 5, 1965 in Park Ridge, Illinois, Lisa graduated from Western Illinois University in 1987 with a Bachelor of Science Degree in Business Administration/Finance and was commissioned as a 2nd Lieutenant in the Army Transportation Corps. She received her Master’s Degree in Industrial Engineering from New Mexico State University in 1998. Lisa's military career and service to our great nation is one of her greatest accomplishments. LTC Lamb was a pioneer and paved the way for women in the military. Throughout her 21 year military career and nearly nine year civilian career she served the Army with the highest distinction. Lisa exhibited outstanding leadership, professionalism, initiative, and dedication, while sincerely caring for the welfare of her Soldiers, civilians and their families. Lisa was awarded the prestigious Wilbur Payne Award for Excellence in Analysis in 2002. Her meritorious, long and distinguished career of service merited the high level of recognition implied by the Legion of Merit. Lisa took time to enjoy her love of golfing, skiing, traveling and entertaining family and friends. She loved to share stories of her childhood and always had a great story to tell about her travels. She had a heart for her community and volunteered many hours to Cowboys for Cancer Research. Lisa helped raise awareness and donations for the United Blood Services. If asked, she was ready and always willing to help wherever this community needed her. Lisa was a motivator, a leader, a fighter and a hero. She not only fought the good fight, she fought the best fight with courage, humor and above all dignity. Lisa is survived by her soulmate, James H Lamb of 15 years. Her step daughter, Amy Valdez, husband Rudy and their children Araceli and Brianna. Her brother, Kirk and April Nestaval and their children Kyle, Kirsten and Tyler Nestaval. She was proceeded in death by both of her parents, Hal and Ardis Nestaval and one sister Kirsten Nestaval. A visitation with family will be held, Thursday November 5th from 3 pm to 5 pm at Getz Funeral Home. A memorial service will be held on Tuesday November 24th at 10 am officiated by Chaplin Candidate and personal friend 2LT Aaron Arnold, US Army Reserve. Lisa will be laid to rest at Hillcrest Memorial Gardens Cemetery with full Military Honors. The family truly thanks Dr. William Adler and the Memorial Medical Center Cancer Center staff (all of you!!) for the love, care, kindness and respect they have shown to the family and to Lisa. [S2371] Lieutenant Colonel (Ret) Lisa Jo Lamb, Getz Funeral Home, http://www.getzfuneralhome.com/memsol.cgi?user_id=1694646. Hereinafter cited as Getz Funeral Home.